Our cooking grates are made in a rectangular format to allow you to add wood to your pit when cooking without having to lift the entire cooking grate off the pit, so not to risk dumping those steaks. 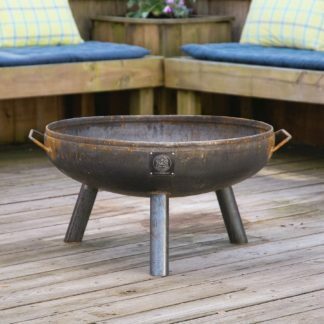 The 30″ grate is designed to fit our 30″ fire pits and measures 24.5″ x 18.5″. Please call for a custom grate. 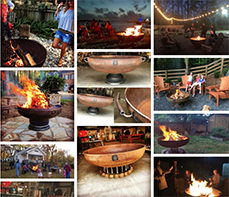 Sitting approximately 17” off the ground, the 30” Elliptical Fire Pit on Legs is completely hand-welded by expert craftsmen – craftsmen who understand the importance of a good backyard fire. The tripod base system will insure stability and the thick gauge steel will not only last, but the radiant heat you'll get from it, will warm you and everyone around you.